Is Chris Brown Going to the NBA? He Certainly Looks Like He’s Trying To! 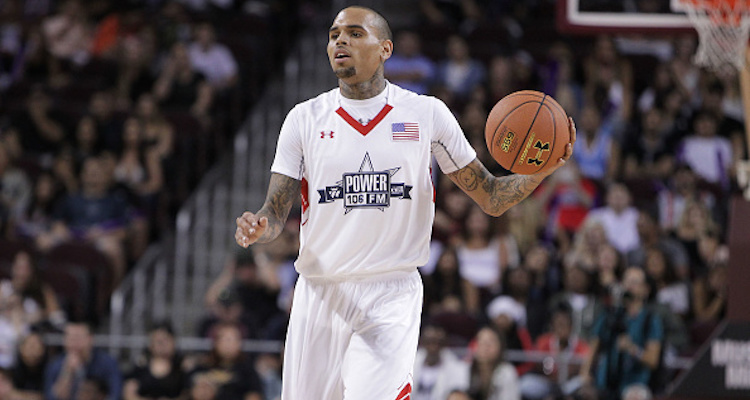 Is Chris Brown trying out for the NBA? After posting nothing but music and fashion posts, the “Party” singer takes a break to post a brief clip of him playing basketball. What’s the singer up to? Is he just staying active or is there more? Some fans were wondering why Chris Brown’s basketball skills didn’t take him to the NBA, but that wasn’t in the cards for the 27-year-old. Is he planning on going to the NBA? Of course not. And by the looks of it, he just decided to pick up a ball and have some fun! After a bit of dribbling, the singer made a nice shot! The “Loyal” singer was practicing his jump shot at Terminal 23, a high-end basketball court in New York City. What’s interesting is that Brown is advertising the basketball court’s shirt and the camera pans to the floor to show part of the name. Could he be advertising the basketball court as well? The Chris Brown and Rihanna love story has been over for years, but according to HollywoodLife, Brown sent Rihanna and her mother a beautiful bouquet of roses! Nothing says “I miss you” like roses, but does Rihanna miss him? The “Work” singer was seen enjoying herself recently at the Grammys, getting comfortable with her bejeweled flask. We wonder what Brown’s rumored girlfriend, Vanessa Vargas, thinks of all this. The two were seen at a pre-Grammy’s party together on February 11. We’re not sure what to make of this, but we do know that Rihanna isn’t taking her ex-boyfriend back and Brown is not joining the NBA. Looks like Chris Brown’s songs aren’t going anywhere anytime soon!